Found this topic linked from another board I frequent. It should be pertinent to anyone who has just rebuilt an engine or who may be experiencing premature wear on some components, namely camshafts using flat tappets. 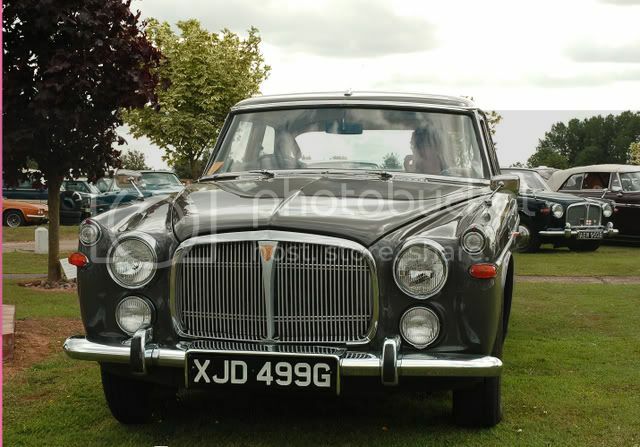 Given the history of mechanical wear that the Rover V8 engine experiences with these components, it may be worth your time finding out the formula of your favoured oil. Oils highlighted in red illustrate specific motor oil formulation of recommended weight needed to protect flat tappet engines. How much ZDDP is enough? Most of the automotive pundits seem to agree that a proper motor oil for a flat tappet engine should test with a minimum of 1,200 PPM (0.12%) by weight each for zinc and phosphorus. ...virtually all of the currently available oils with the latest SM or CJ-4 designations have zinc and phosphorus levels at or below 1,000 ppm. * The 1977 SAE paper Cam and Lifter Wear as Affected by Engine Oil ZDDP Concentration and Type written by two GM Engineers provides plenty of data to support the assertion that 1200 PPM is knee in the curve of wear rate vs ZDDP concentration for flat tappet engines. "Was neglected" but not forgotten "Now Re-born"
We hope so. Haven't you just rebuilt your engine John? From our major oil distributor: Distributing Castrol, Redline, Valvoline and Industrial oils: “After over a week of contacts we have verified that the major oil companies are aware of the problem”. “The representatives of the oil companies today are only aware of marketing programs and have no knowledge of formulation”. The only major oil companies they were aware of for doing anything to address this are Valvoline that is offering an “Off Road 20W-50” and Redline. Most pertinent info from P16 on: "Bottom line recommendations"
I was going to stick to my old favourite Castrol GTX. Are you saying that GTX is no longer GTX as we knew it, when these cars were new? If so, maybe I should change to Penrite. At least they formulate specifically for older cars. Yeah guys, it makes you think about the product you've used for your vehicle(s) life-blood over the years. Like most people(?) I tend to stick with a product more from habit and old cherished beliefs about a product. The writer of this pdf www.widman.biz/uploads/Corvair_oil.pdf has some useful insights into current oil technology and especially on how to clean up "gunged-up" engines Phil. None of my V8s (3.5 & 4.4) have experienced the black tar that is evident in some of the Rover V8s... but I tend to change oil frequently. There's also a brief section of the paper devoted to hydraulic lifters. I think most of us with V8s have experience a noisy or tapping lifter. The idea of using diesel rated oil seems a good idea as it is designed for engines that work under severe component loading. Also given that not too many (if any?) pushrod/lifter engines are designed today for mass usage it's seems quite feasible that the manufacturers of engine oil would downgrade their formulas for an obsolete design. As an aside I have a side valve Harley Davidson Motorcycle which benefits from the use of diesel oil due to the severe loading this old air cooled motor puts on some of its components. Is Castrol XL30 a monograde John? If so the oil will thin when hot and be too viscous for immediate protection when cold. Monogrades even if packaged by Penrite are old technology. Multi-grades didn't exist at this time (someone correct me here if need be). The rationale behind a good multigrade oil and one that seems perplexing is that it acts as a thinner or lighter weight oil when cold (gets to and protects components faster) yet is more full bodied (has a higher viscosity) when hot. Another aspect not considered often is that the oil is also a cooling medium, picking up and transfering heat from hot components. So there needs to be adequate flow. Race engines especially air cooled motor-cyles are set up looser to allow specific rates of flow. slow moving oil doesn't cool. Think about the loading between the lifter base and the nose of the camshaft? If you scan some of the literature you'll see that one of the prime considerations is premature wear on these components. If I recall correctly Rover V8s illustrate considerable wear on these components and also on the highly loaded rocker shaft. The oil that suits a Rover V8 best (IMHO) is one that is designed for a motor that has a similar design layout (non overhead cam) and that would see similar loadings on these components. I've just checked Penrite and their Classic Light is recommended for P5, P5B, and P6B. It is a 20W50 multigrade intended for use in engines built between 1952 and 1970 where a straight SAE 30 or a 20W50 multigrade was originally specified. Because of the issues relating to API rating that you identified, I asked them what the rating of Classic Light is. It is SG/CD. I've never known where the letters fitted chronologically so I Googled it. SG is identified as obsolete and suitable for pre-1993 petrol engines. CD is also obsolete and was introduced in 1955 for normally-aspirated and turbo diesels. Perhaps I should go back to using Molybond as I did on the FJ. That old "grey motor" had no oil filtration other than a wire gauze screen on the pump pick-up. Mind you, when I stripped the engine when Dad gave it to me at 73,000 miles it only needed standard rings and bearings and the cylinder ridges could barely be detected by your thumbnail. He did change the oil every 500 miles though. It's a wonder the FJ had any wear on it at 500 mile changes Warwick. My father's Citroen used to get them with regularity at every 1000 miles. Good document Warwick. Here's something else that pertains to 'our' type of engine. "Phosphorus is the key component for valve train protection in an engine, and 1600ppm (parts per million) used to be the standard for phosphorus in engine oil. In 1996 that was dropped to 800ppm and then more recently to 400ppm - a quarter of the original spec. Valvetrains and their components are not especially cheap to replace and this drop in phosphorus content has been a problem for many engines. So why was the level dropped? Money. Next to lead, it's the second most destructive substance to shove through a catalytic converter. The US government mandated a 150,000 mile liftime on catalytic converters and the quickest way to do that was to drop phosphorous levels and B****r the valvetrain problem. Literally." "In the US, Mobil 1 originally came out with the 0W40 as a 'European Formula' as it was always above 1000 ppm. This initially got them out of the 1996 800ppm jam and knowledgeable consumers sought it out for obvious reasons. Their 15W50 has also maintained a very high level of phosphorus and all of the extended life Mobil synthetics now have at least 1000ppm. How do they get away with this? They're not classified as energy/fuel conserving oils and thus do not interfere with the precious government CAFE (corporate average fuel economy) ratings..... This also means that they don't get the coveted ratings of other oils but they do protect your valvetrain." Engine Oil PDF (Anti-Scuff Agents). bulk of the problems with gross camshaft failures during the break-in period, with less than 1,500 miles on the clock. If you are in the process of rebuilding an engine, oil selection is critical until everything is broken in." It's a wonder the FJ had any wear on it at 500 mile changes Warwick. My father's Citroen used to get them with regularity at every 1000 miles. We lived within walking distance of his work so it only got used a bit during the week and didn't do many miles; then every couple of years we went on a massive interstate holiday trip. While on the subject of the Holden grey motor, my father-in-law worked for GMH at Fisherman's Bend in his early 20s. He worked in the Experimental Engineering division and had the job of dyno-testing engines taken from stock. They would run a new engine at full throttle for 7.5 hours then graph and record all sorts of parameters. Last week he presented me with a folder containing one of these reports. The tests were carried out on 12th December 1948, 13 days after the first Holden was released. He thinks it was probably about the 60th engine off the production line. But does it have the needed 'anti-scuff' agents at the required percentage within it's formula? If there's a better way of doing this (anyone out there in the ether...IT gurus) I'd be pleased to know. The idea is for board members to add the specifications of suitable oils. Is your document meant to be editable Vince? All that happens is it downloads and saves on my computer. Yes Warwick, Any ideas on how to make it editable. I have no personal claims on it... just want to make it a viable list for 'members' that are interested in this type of data. This is better than nothing (a jpeg image of a spreadsheet) but still not editable. I've Highlighted certain brands and weights of oils when the main details are known. I can update this with appropriate data if its posted. Note: This table also illustrated at beginning of the Post. If you're prepared to update the table as and when people add info on other suitable oils, probably the best thing to do is to remove the table from here and insert it into your original post at the head of this thread. Then Admin or Phil could make the thread a Sticky if we asked them nicely. P.S. Any idea of the significance, or otherwise, of the magnesium content? This is a shot of Halfords classic oil, ihave used it for the first time this year, should be good for those on a nostalgia kick. Very nice can Norvin but I need to fill in the blanks guys. So you need to 'research' the Zinc & phosphorus ppm and also whether it is dino oil or synthetic or a blend. 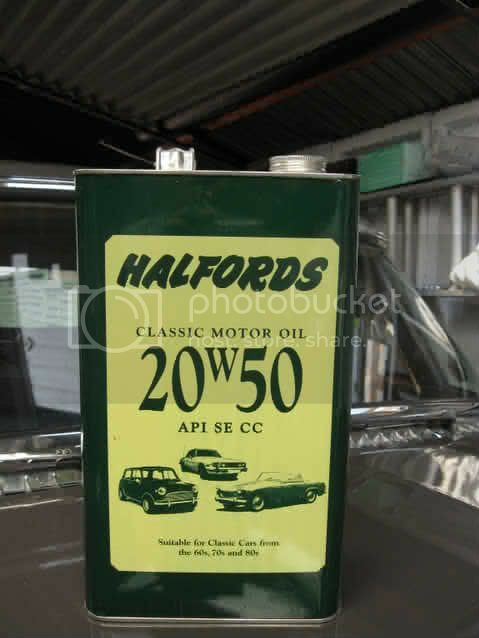 The thing is that most oils today will be miles better then what oil was 30 odd years ago, from what halfords say about there classic oil i would think it will be similar to Duckhams 20-50. This one is a good source of general background info - but if you're on dial-up, it's a 1.5MB download. "The thing is that most oils today will be miles better then what oil was 30 odd years ago, from what halfords say about there classic oil i would think it will be similar to Duckhams 20-50." Norvin, you haven't read any of the literature have you? The whole Penrite site www.penrite.com.au is well worth a browse through. Lots of other interesting technical bulletins. I was interested to note that they mention molybdenum disulphide and recommend against using it; but don't say why. I've used it for years in different engines but only those with no oil filtration, such as the FJ engine and Lister diesels. The only arguments I've heard against it are that it could block small oilways and may be removed by your filter, and clog it. Since it is a colloidal particle and very small, I find this difficult to believe. Are there other reasons? (Not that I'm considering using it in the P5. IMHO one of the reasons against overuse of molybdenum disulphide (apart from an assembly lube) is that oil consumption and blowby may increase over time due to the cyls and rings being excessively coated with this compound and creating a surface too slippery (glazed) for the rings to function correctly. An effective seal in a cyl is not created on sufaces that are perfectly smooth or mirror finished, but by one having a residual hone pattern in place which creates pockets to retain an oil film on which the piston bears against. Thanks Vince. I've never understood it to have much effect on friction; but that it was a self-repairing mono-layer which is of course why you use it as an initial anti-seize assembly lubricant but must not use it again until after running in (bedding in) has been completed. As a grease it was certainly effective in extending the life of early Holden king-pins.